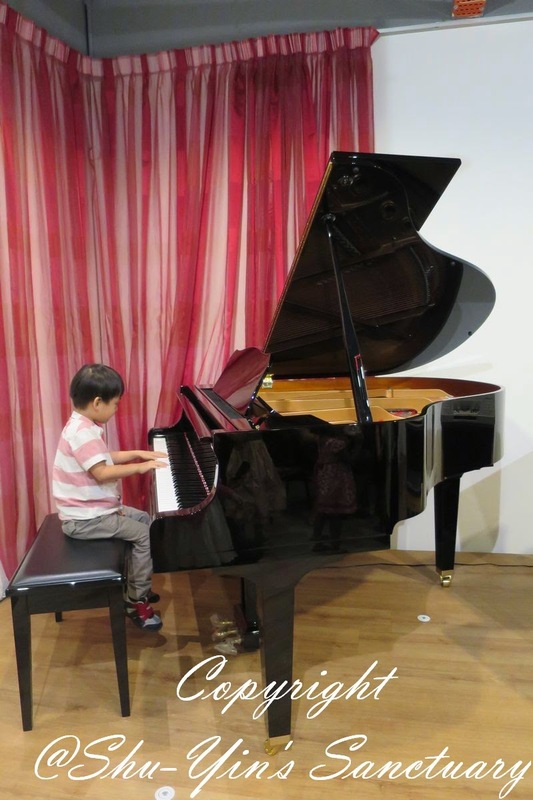 Shern has been attending Yamaha music class since end of last year. It is actually piano class using the Yamaha syllabus. 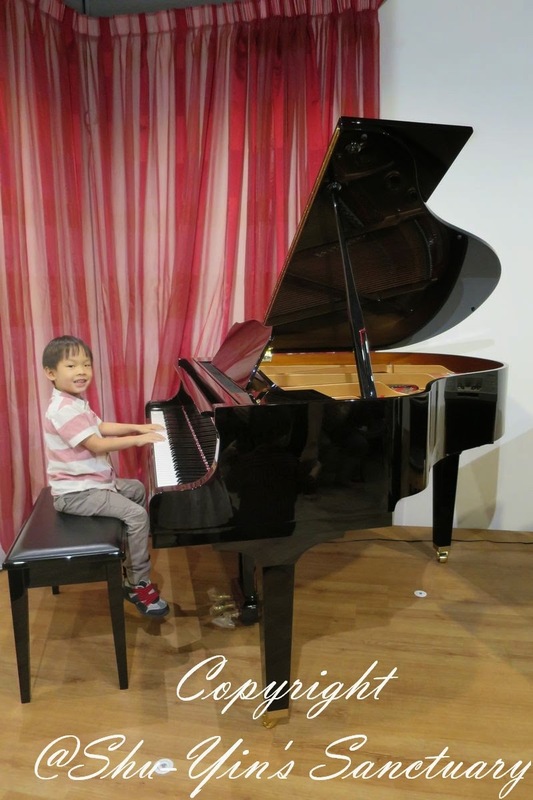 Initially I found Yamaha to be a bit too academic and was reluctant to enrol him there. But when we attended the trial lesson there, we found that it was actually pretty fun! His teacher is really a very good teacher, often giving the children small treats, such as stickers as a motivation, and yet is strict enough to mantain discipline in class. And he makes the lesson so fun and interesting, with lots of actions and drawings! The only thing is that for 4-6 yo class, you need a parent/guardian to accompany the children during the 1-hour class. I can understand that because if without, there would be much banging of the keys on the electones. It can be rather tiring to accompany Shern to class every week, but I choose to see the POSITIVE side of it. It is actually bonding time for me and Shern. It is the only time that I am really 'Khye-free' and could concentrate on Shern, so I appreciate the driving journey there and back where I get to talk about lots of interesting thing with my very talkative son. Another is that I consider it as 'Buy one get one free' class. 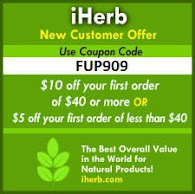 I pay for Shern to learn, but I get to learn as well! Hehe. 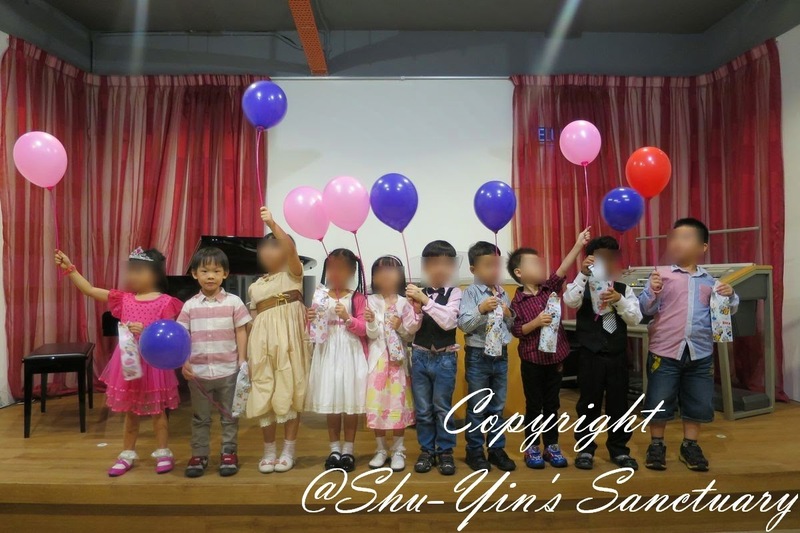 Anyway, Shern had his first Mini Piano Recital last Friday. It was nothing big, just his class performing in front of us parents on a real stage. It was actually just for the kids to experience how performing in a recital/concert feels like. But you could see all parents there feeling so proud of their kids, with their cameras, tablets and mobile phones clicking away. So I was also there, with my camera in hand, proud of my son. I'm proud that he can actually play with 2 hands in such a short period of time. 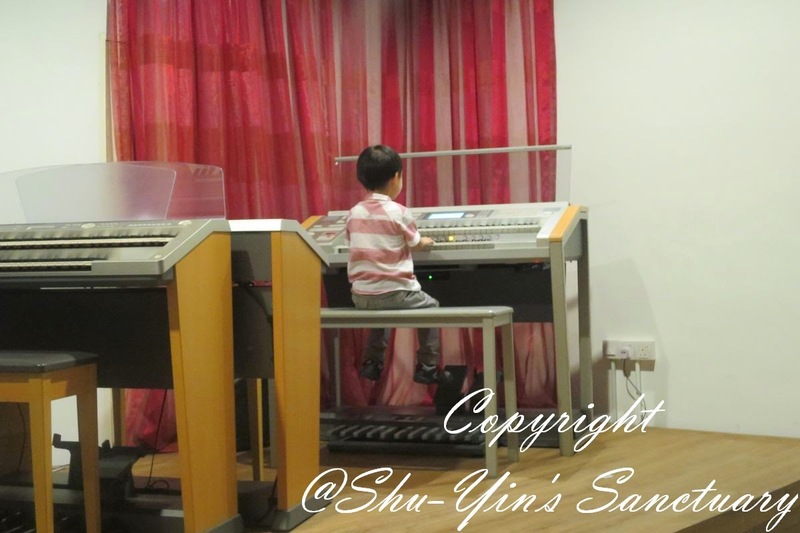 Here is Shern's first ever Piano Recital, him playing 2 short songs - Honeybee March, and Going On A Picnic. Although with a 'lil hiccup at the beginning, I think Shern did a wonderful performance, and I was mighty proud of him! 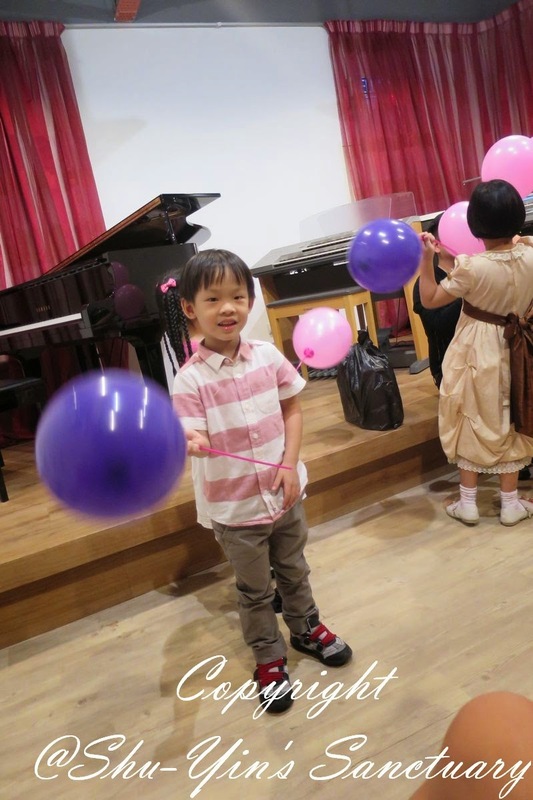 After the recital, the children got a balloon each, and also a little gift from their teacher for being so brave and a job well done. The children were all happy with their balloons and gifts! After that Shern got to try to play on the mini grand piano. Grand indeed! It was a good night, and I am so proud of my big boy.